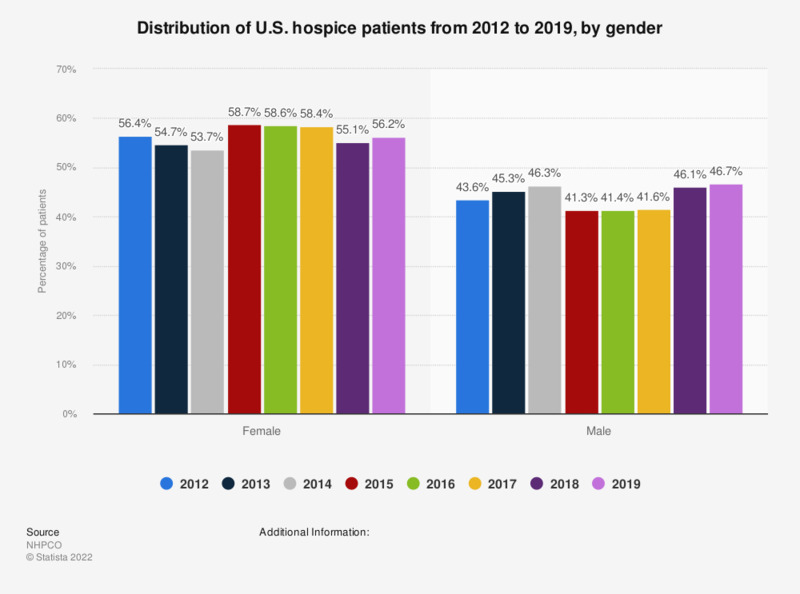 This statistic displays the distribution of U.S. hospice patients by gender from 2012 to 2016. In 2016, 58.6 percent of hospice patients were female. Hospices provide medical care, pain management, as well as emotional and spiritual support. However, care for a patient is emphasized in a hospice where hospice staff typically visits a patient. Figures for 2012 were added from NHPCO's Facts and Figures 2014 and figures from 2013 and 2014 were added from NHPCO's Facts and Figures 2015.